This is a report on considerations that I feel are relevant to assessment of the projected Rosemont mining operation—and any mining operation in Ariazona. I am not against mining per se—in areas that are already wastelands. There are plenty of wastelands in the southwest. Why create another one? Mining impacts the whole eco-system in ways that we cannot imagine. Mining needs to be done where there is plenty of water and no population of humans, animals or plants. I once teased the manager of Phelps Dodge Sierrita —you guys should have bought the whole state of Arizona, put up fences and stated: “This is the nation’s metal supply—do not approach, we are going to turn it into a toxic, devastated wasteland.” But here we all are, and so they have to deal with this reality. Pit mining is a very dirty business—I refer you to photos taken from the ADEQ files for Sierrita. It’s nothing at all like the few holes that pock the Santa Ritas now, which I visit regularly to “get away from it all.” The company’s estimate is that they will be moving 440 millions tons of ore – leaving 99% of it behind in waste dumps and tailings impoundments, added to the over-burden to get down to the mineral ore gives a sum of some 1 billion tons. In a law suit in 2003, Judge Henry H. Kennedy, Jr., U.S. District Court of the District of Columbia, ruled that the Bureau of Land Management has the authority to and must prevent substantial damage to public lands under the undue or unnecessary degradation (UUD) standard of the Federal Lands Management and Policy Act (FLPMA). This degrading of public lands in a way that is non-recoverable is certainly a relevant issue. “Augusta has confirmed or identified the availability of approximately 440 million tons of measured and indicated mineral resources, which is planned to be mined at a rate of approximately 27,000,000 tons per year. This rate translates into a project life of approximately 16 years. Approximately 348 people will be employed full time, drawn from a largely locally available pool of workers. This schedule estimates a mill through-put of approximately 75,000 tons per day. Further, in August, 2006 an Oregon judge over-ruled a mining company’s claim to devastate land by mining. Land they got for $5 an acre and for which they will pay no royalties to the “public” who “owns” the land. The Forest Service does not have to allow mining on Public Land. For the reasons set forth above, plaintiffs' motion for summary judgment (# 35) is granted as to the claims under the Clean Water Act, the Organic Act, and the National Forest Management Act. Defendant's motion for summary judgment (# 50) is granted as to the claims under the National Environmental Policy Act. The Forest Service is enjoined from allowing mining or mineral operations in the North Fork Burnt River pursuant to the NFBR Record of Decision and Final Environmental Impact Statement issued in April 2004 for any action that this court has found violates the CWA, the Organic Act, NFMA and the implementing laws and regulations of those acts. Dated this 4th day of August, 2006. Keep in mind that in 1872 when the Mining Law was passed it was intended to encourage settlement, just like the Homestead Act. The small holes dotting the hills of the Santa Ritas are evidence that the miners were all working independently with pick, shovel and a few sticks of dynamite. I think we can work smart. There’s nothing wrong with saving some copper reserves for the future. These deposits are principally sulfide ore, which is not rich ore, 1% copper; therefore, 99% waste. In other words, for every pound of copper, there’s a ton on waste to deal with, and that does not include the tons of overburden that must be removed to get down to the mineral deposit to begin the mining process. This low quality is the reason the ore has to be concentrated. Further, the concentrate has to be smelted. This will be done away from the site, but it will impact the environment somewhere—usually in El Paso, Texas or Miami, Arizona. I recommend that we save this type of low-grade ore deposits that require waste rock dumps and tailings impoundments for the future—a future that will surely bring new methods of extracting ore in more environmentally-friendly methods. Further, we have to have a complete water study and plan of this area of the Coronado Forest before any decisions are made that will disturb and pump large amounts of groundwater. Further, there must be large deposits of metals that have not been explored in the many areas of wasteland in the Southwest. These areas such as the Rosemont mine were found by small mining operators with picks and shovels—854 of them. Expert mining surveyors can find deposits away from these traditional areas. Why are Canadian companies coming to U.S.? Mining versus Tourism : Mining brings an influx of urbanization to a rural area: cutting down forests, expanding roads, building homes and creating commercial districts. Unfortunately, mining town economies typically enjoy a brief burst of prosperity and growth, twenty years in this case, only to fall apart when the mine closes. We have a good example of this phenomenon in Ajo in Pima County. Worse still, mines often open and close several times as the price of the metals rise and fall, before the minerals are played out, causing havoc in the local economy. Again, Pima County has experienced this phenomenon more than once, and as recently as 2000 to 2002, when many laborers were laid-off. The companies promise hundreds of new jobs, but the high paying jobs go to skilled mineworkers brought in from other communities, not to local people. The infrastructure costs in the affected county can be significant: new roads, power lines, sewage treatment, garbage collection, schools, and police and fire protection. When the bust comes, local taxpayers who stay behind end up paying high taxes to maintain the infrastructure of an overbuilt community. Tourism is worth billions annually into our state. In the long term, tourism brings more money into Arizona than mining, and the money stays here. The profits do not fly out to corporate executives and stock holders around the country—and Canada in this case. [The Phelps Dodge CEO pulled in $4.3 million in 2005 in salary, bonuses and perks.] The Arizona Chamber of Commerce lists tourism as one of the top seven industry opportunities; mining was not on their list. Many people visit Tucson because of its exceptional natural beauty, wonderful mountains, and great climate in the winter. If this beauty is degraded by mining development and pollution, Pima County has five major mines (two now closed) scarring the landscape, and all are outside of the National Forest area. I would think that Pima County has given its share to the copper market. Industrial taxes versus property taxes: That area of Pima County is being built up with high cost homes, whose owners will be paying property taxes for some 100 years while making improvements on their property. The mining company will be paying taxes for 20 years and devastating 4,000 acres and making the surrounding area a maze of noise, traffic and dust. What will the property values of that region of Pima County be worth then? Do the numbers. Taxpayers always lose out with mining operations, even if the mine reclaims the land. State Trust Land Revenue: There will be a small revenue from mining of State Trust Land. Asarco Mission Mine complex has paid a large revenue—millions of dollars—into the supposed “educational fund” over the past 25 years or so. Thousands of acres of land are sold to builders at top prices in Phoenix. Yet, Arizona school system is one of the poorest. Where does that money really go? Augusta claims it has drawn on this local talent for the drilling, metallurgical, environmental, geotechnical, and feasibility studies currently in progress. Of the staff who are now benefiting financially from the proposed mine, most of them, including the environmental experts were from out of the area. There is unemployment in Tucson, but how many of those persons can handle the skills needed for mining? If you think there are no mining jobs in Arizona, go to Infomine website and click on Careers, then USA. I am concerned about the possibility of lowering the water table until it affects the plant life and the animal life of the whole region. I attended the public forum meeting concerning the Coronado Forest in Tucson in late June. I emphasized that there needs to be a water study and plan of the Coronado Forest. Without that data it is preemptive to contemplate any uses of the public land that requires high use of water. In 1997 the National Park Service made a report about the problems of water depletion in both the Saguaro National Parks near Tucson. Further, the preservation of this Forest Service land is in line with two resolutions adopted by the Pima County Board of Supervisors. They adopted the Sonoran Desert Conservation Plan, which received the American Planning Association's 2002 Outstanding Planning Award. Last year, in a 5-0 vote, the Supervisors passed a resolution in favor of a strong Endangered Species Act. The combined municipal use of the communities of Green Valley and Sahuarita is 3,800 acre feet per year. Therefore, 5,000 to 8,000 acre feet is the water to supply some 60,000 to 80,000 homes minimum. Does southern Pima County have that water to lose to industrial waste and devastation? Frankly, I do not comprehend why the water authorities are asking residents to get rid of their lawns while at they same time they are doling out such large quantities of water to industry. Water supply . Central Arizona Project (CAP) water is available for use by the Rosemont Project. However, the current source of CAP water is approximately 18 miles northwest of the project, near Pima Mine Road and Interstate-19. Cost for transport of CAP water to the Project would be large, requiring approximately 18 miles of pipeline and rights-of-way. In addition, availability of CAP water is subject to interruption from planned maintenance outages and unplanned emergency outages along the CAP aqueduct. The project proponent has contracted to utilize CAP water as an indirect source of water. By contracting for and purchasing CAP water in an amount equivalent to that used at the mine, the project proponent plans to recharge CAP water to the regional aquifer at other locations in the upper Santa Cruz basin. Recharge of CAP water at an established groundwater recharge facility in the upper Santa Cruz basin will offset the potential impact of groundwater withdrawal on a regional scale. Orignally, recharge was to be 10 miles away at Pima Mine Road; however, the site has been changed to Marana, some 30 miles away. At the Board of Supervisors Meeting on Tuesday, Sept. 5, I brought up the problem of “pumping here” and “recharging there.” Afterwards, County Manager, Chuck Huckleberry, said that groundwater pumping would not be allowed, and added there would not be any paper water (that’s what they call this “recharge away from use” project). In any case, pumping will have to occur to dewater the pit. A good article on dewatering. The official name is “Groundwater Replenishment District.” It was meant to allow building in certain cases when water was deficient, but has been expanded and used in a myriad of approaches that was not the original intent. The crux of the matter is that Assured Safe Yield by 2025 for an AMA is the overall average for region—so one area can be up and another can be down—it’s the overall water balance. I’m attaching the map of the Tucson AMA, showing that Green Valley will be 150 feet down, but the Tucson AMA will still show “safe yield” because there will be mounds of water at the two CAP recharge stations. Even though the Tucson area is known for subsidence and earth fissures (south of Tucson), this practice is continued. See page 2 of Arizona Water Resources Report. Historically, water levels have declined considerably in this general area due to mining. We have graphs showing lowering of groundwater in the area of mining, both at Twin Buttes and Sierrita. Note that the data is old because this type of work was only done in the early 1980’s after F.I.C.O. sued the mines because of their heavy use of water and contamination causing high salt/hardness content. The report is “Ground-water Monitoring in the Tucson Copper Mining District,” prepared by Pima Association of Governments and Upper Santa Cruz Basin Mines Task Force (created only for this study). The report, published in 1983 is the best analysis we have of mining in the area (maybe in the whole southwest!). Unfortunately, although recommendations were made, they were never followed up on. Twenty years later when PAG did a follow-up report, they did not even include any data from Duval/Sierrita mine because the company did not cooperate. The report is available from Pima Association of Governments (792-1093). Further, here in Green Valley, there is an annual drawdown of 2 to 3 feet per year. Water rights for mining for our local mining company were obtained by buying up agricultural land. The result is that the community is sustaining a 31,000 acre feet annual deficit, and signs of subsidence are beginning to appear: cracking in walls of homes, sidewalks and roads. Map of the projected water levels in 2025 in Pima County, which may reach “safe-yield, but Green Valley will not—it’s upstream, not a good omen for downstream. Estimates of peak demand and energy for the project indicate a peak load ranging from 80 megawatts (MW) to 100 MW and approximately 500 GWh to 700 GWh of annual energy requirements. It is currently anticipated that power for the project will be acquired from Tucson Electric Power (TEP), TRICO Electric Cooperative (TRICO), and/or a third party. It is also anticipated that the purchased power will be delivered over the TEP system or the Southwest Transmission Cooperative (SWTC) system to an interconnection point with project-owned transmission facilities. All supplies, including sulfuric acid and toxic volatile organic chemicals, will be trucked in daily. Further, to calculate the daily loads of copper taken out on the road in 10 ton trucks. Sulfide Ore at .6 % of 27,000,000 tons = 162,000 tons of copper per year = 450 tons per day, that is, forty-five 10-ton truck loads. However, the concentrate is at best 50% copper—so twice that amount is ninety 10-ton truck loads per day. In addition, there is 10,000,000 tons of oxide ore per year. We do not have the percentage of copper in this oxide ore to calculate the number of additional truck loads to carry out the copper wafers. I do understand that water recycling through the use of dry tailings could be a beneficial aspect in saving water. Conventional methods do dry out the waste slurry with a thickening process before it is piped to the tailings impoundments. But how effective has this technique been in saving water? Where and how has it worked? When I search the Internet, I find one photo of dry tailings, however, I am told by the author that it is not dry tailings, for dry tailings have not been tried in Washington state. And as far as he knows have not been tried in U.S. or Canada. Such an experiment should be done with small projects. In Rosemont there is a projected 1 billion tons of waste rock and slurry. Slurry is put through pipes for ease of handling. If it is thickened further, making it sludege, it would have to be hauled in trucks—like cement trucks. How many trucks would that take and how would they be able to climb to the top of a billion acre pile to dump the sludge? Augusta has not given us the practical details. At this point, Augusta is on a "we'll figure it out as we go along" mode. "Not in our national forest!" is my continual plea. One point to consider: Are there any native plants that can survive on the composition of this particular slurry paste? The composition of the Sierrita tailings slurry, which is thickened to some degree. Prevention of airborne release of tailings solids to the environment by provision of dust-suppression measures. Will these measures work consistentely in regions of high winds. Certainly, Phelps Dodge Sierrita has used every measure possible through the years—including algae and water-sprinklers—to keep down the dust blowing on wet tailings. Last week in Green Valley, it was reported that it looked like it was snowing at one of the golf-courses, due to high winds. It is logical that dust problems will be increased with dry tailings. This concept needs to be investigated thoroughly. Impoundment dams are a complicated engineering feat, for which volumes of books have been written. Tailings dams do fail, and they are not even inspected for safety in Arizona (a gift of our enlightened legislators since 1977). This area is a mountainous region where there is a potential for earthquakes, and tailings dams must be engineered to hold back their sludge forever. The 1877 earthquake changed the landscape from the Santa Cruz River to the Chiriquawa mountains. When Environmental Protection Agency, Washington, D.C. Office chose to do a study on the problem of disturbing radioactive materials, they selected Arizona mines as their study area. There are many metals mixed in the ore with copper, which is only 1% at best in the local sulfide ore. Radionuclides, including uranium and its accompanying emitters, is also present in the area. 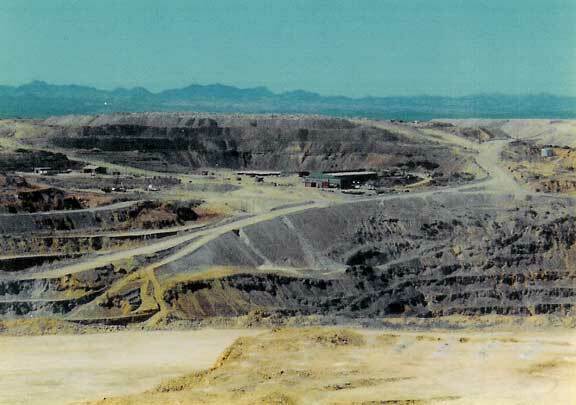 Uranium was mined at Twin Buttes mine (just north of Sierrita) for approximately 15 years, closed in 1985. See EPA TENORM: Technologically enhanced naturally occurring radioactive material Report, Twin Buttes (page 25) and Sierrita (page 40). The readings in the mill area of Sierrita mine show other heavy metals that are toxic, including cadmium, selenium and arsenic. All the public wells in Green Valley are in the process of installing arsenic treatment because of naturally occurring arsenic in the Santa Cruz aquifer. These heavy metals are more or less inert and harmless in conglomerates buried under the ground. However, in the same way as uranium, when the metals are ground to face powder consistency and added into water with other chemicals, they become liable to enter the environment through the soil, air or water. Waste rock itself can be acid producing. Build-up of Sulfates is an inevitable side effect of milling and concentrating sulfide ore. From looking at the Sierrita tailings, it’s doubtful anything could grow there. Waste rock piles that have been standing for years at Twin Buttes have very little growth on them. How Deep Does It Get! Seven hundred and fifty million tons—759,300,000 tons—of waste rock will be deposited on 3,155 acres of forest land in 16 years. Mining not only removes mountains, it creates them. And Augusta claims that it is just going to tuck the waste rock into the landscape where it won’t be noticed! Both waste rock and tailings gives a grand total of 1,188,211,000 tons to be spread over 3,155 acres of Coronado National Forest land. So we will have over 1 billion tons of waste rock and tailings—almost 376 million tons per acre. This gives us a grand total of 173 cubic feet of waste per square foot of land. That means 173 feet high of useless waste rock and tailings—if spread on every inch of allotted forest land will be equivalent to a 17-story building. And they are telling us their operations will be “environmentally sound and protective of the environment.” With a toxic lake and waste piled 173 feet deep—there will be no environment to protect! This Flotation process is the major extraction method where there is poor quality of the ore. Xanthate chemicals produce bubbles that that the copper adheres to and the "bad stuff" falls to the bottom. These chemicals used for flotation are hydrocarbons with complex configurations, but some are as simple as kerosene. It is claimed that the volatile organics used in the Flotation Process do not go into the slurry that goes into the tailings impoundment because they are filtered out before the slurry goes to the impoundment. This is not a sound analysis. 2) Some are amine compounds that break down into nitrates, so the presence of nitrates in the groundwater is an indicator of travel of these compounds, which can be very mobile in an oxygen solution (H 2O). The tailings slurry water has a Nitrate level of 18.6 mg/ltr. On site monitor well BW-2 has a level of 97.5, while monitor wells at the dam, MH-14 and MH-16, show levels of 12.8 and13.2, respectively. The operation plans to remediate the tailings and waste rock as it goes along, which means there will be no back-filling of the pit because there will be nothing to fill it with. When the operations cease, the pit will no longer be dewatered. Therefore, the pit will fill with water from the ground and storms. A natural lake has mud and clay lining, whereas the pit will be exposed minerals which will create a significant potential for acid water in the pits once mining has stopped. The Berkeley Pit in Butte, Montana is a 1.5 square mile open pit approximately 1,700 feet in depth. Ground water has infiltrated the open pit and created a pit lake about 710 feet in depth containing 30 billion gallons of water with a pH of 2.5. Birds landing in these acidic pit lakes can ingest this water which causes severe trauma to their gastrointestinal tracts and eventual death. The acidic water also removes natural oils from the birds’ feathers causing them to die by drowning or hypothermia. In 1995, the Berkeley Pit proved lethal to over 300 snow geese which used the pit lake as a migratory stopping place. Abandoned open pit uranium mines in Wyoming also have formed pit lakes. This is relevant, uranium has been mined in Pima County at the Twin Buttes mine; therefore; uranium could be present in the waste rock in Rosemont area. Uranium-bearing formations are usually associated with strata containing high concentrations of selenium. Pit lakes formed in open pit uranium mines can contain very high levels of selenium in the water. One pit lake in Wyoming contains over 100 parts per million (microgram per Liter [µg/L]) of selenium. Waterborne selenium concentrations greater than 2µg/L are known to impair the reproduction and survival of aquatic birds due to the high potential for dietary toxicity through food chain bioaccumulation. The Rosemont Plan, page v, states that they will also be using acid leaching. This processing method has the advantage that it does not require tailings impoundments. However, it does use large amounts of sulfuric acid. After the sulfuric acid is used and processed it is returned to large ponds from which it is recycled. Although lined, these ponds are open and very toxic. I’m wondering if these are ponds that show up on the Rosemont Plan, Figures 5, 13 and 14, which will be located on National Forest lands, Figure 5. Sulfuric acid is brought in on railroad tankers at Sierrita, and ore and cooper are moved out on railroad cars. Railroads are essential to copper mining. Actually, we have copper mining to thank for our railroad system in Arizona. How will the sulfuric acid, ore for smeltetering, and copper from electrowinning be transported out of this area? How many trucks will it take to haul the stuff back and forth? The leach sulfuric acid is maintained in large open ponds and is subject to spills and overflows. Here are some records from several Pima County mines. According to the experts: “Leach pad sites are generally selected for their combination of geotechnical and economic considerations. Sites with large settlement potential or slope stability problems are usually avoided. However, copper leach pads can be enormous, reaching areas in excess of 5 million square meters. This often precludes selection of the optimum site from a geotechnical standpoint. It also can require a liner system to span a wide range of geologic profiles. I have a friend who lives several miles from the Sierrita pit (the pit keeps expanding far past its original estimate). The rumble of the blasts is heard inside her home and has caused cracking in the walls of her new home. I’m not sure how this will affect the environment of the forest—but it is not a contribution to a peaceful environment. Neither are the big, heavy equipment. We complain from the noise when roadwork goes on in our neighborhood, but imagine these trucks 3 or 4 times as big, operating 24 hours a day. The equipment also presents other environmental problems with truck washing and large tire disposal areas. I suppose the animals will adjust—they seem to be very forgiving. Wouldn’t it be great if they could speak up as stakeholders? At this mining site, we have a unique situation in that it is near one of the three observatories in southern Arizona. This means that there are strict regulations for lighting at night. Rosemont, as is the practice in all mining operations, plans to operatate 24-hours. Good lighting is essential for mining operations and required by the Labor Board. In January of 1995, a fatality occurred at a waste rock dump area at the Sierrita mine site in nearby Green Valley, then owned by Cyprus Corporation. 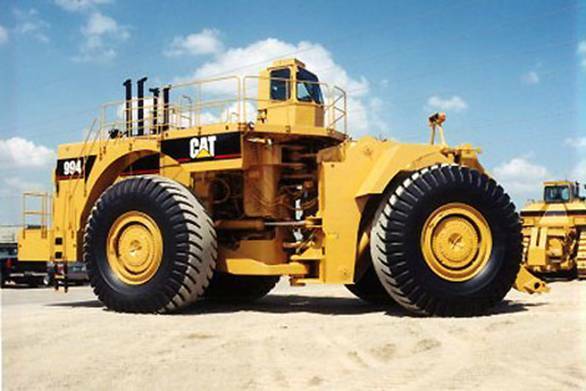 A Caterpillar dump truck backed over a berm, and turned over, fatally injuring the driver. There was no illumination provided at the dump area. The truck was equipped with two back-up lights that were quite dirty. The Labor Board investigated and required that portable lighting plants be installed at all dumping areas to provide sufficient illumination for safe dumping operations. When a mine is permitted, it is required to have a plan for reclamation. To be certain that the reclamation will occur even if the company fails, state agencies, including New Mexico, require the mining company to post a bond to assure that the reclamation will happen—but not in Arizona. The bond amount is supposed to equal the amount that would be required for the government to reclaim. Corporate guarantees are a promise by the mining company to reclaim the site. If they meet certain requirements, the State of Arizona will allow the company to sign and basically promise that they will not go bankrupt. Unfortunately, mines do go bankrupt. We had that possibility with Asarco Pima Mission Mine here in Pima County last year. Often, the land is so scarred that nothing can be grown or reclaimed for years. The ancient Romans had metallic sulfide mines that still leach sulfuric acid into the areas. I say show me one of these large pit mines that has been returned to any level of its previous condition. Reclamation of Sierrita Mine, Green Valley, Arizona. The mining officials claim they will return this site to a recreation area. What do you think?